When it comes to home renovation, there are a lot of things that you can do with the old furniture and items that you are planning to change. 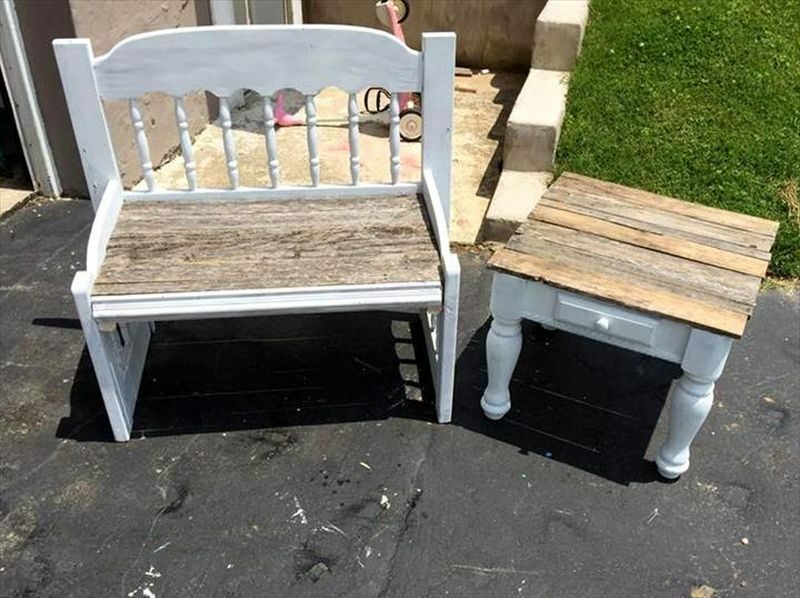 DIY ideas can be a lot of fun especially when you want to convert your old furniture into something different. This is not only a perfect way of saving money, but it is also a good idea of keeping the kids busy. One of the best ways to save money while renovating your home is by using old furniture and converting it into something different. Even if you are not renovating your home completely but planning to get new furniture, you can still use various kinds of ideas so that you do not have to invest too much of money. 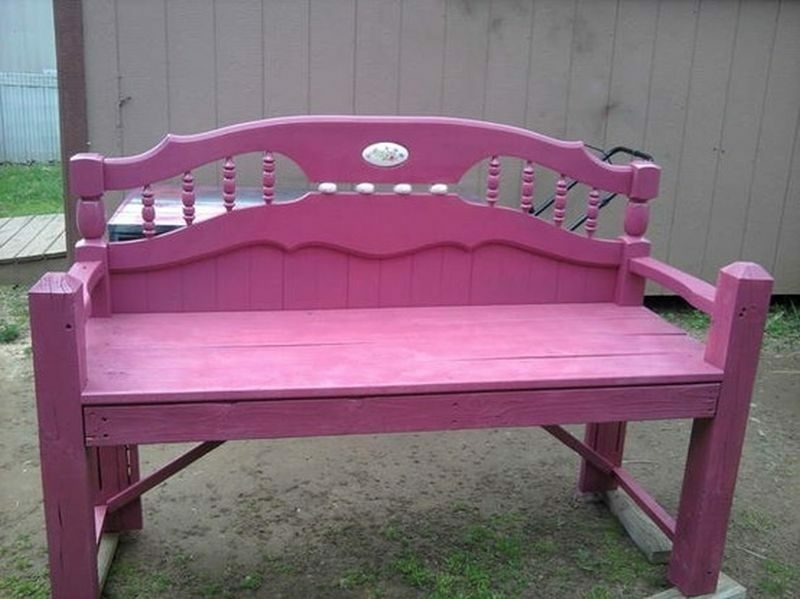 Your old headboards can be converted into perfect outdoor furniture. You can use the headboard in the form of a bench. To give it a different finish, you can paint it and decorate it with some craft materials like stickers in the shape of flowers, abstract designs made with paint and other such ideas. Your old headboard can also become a perfect swing. 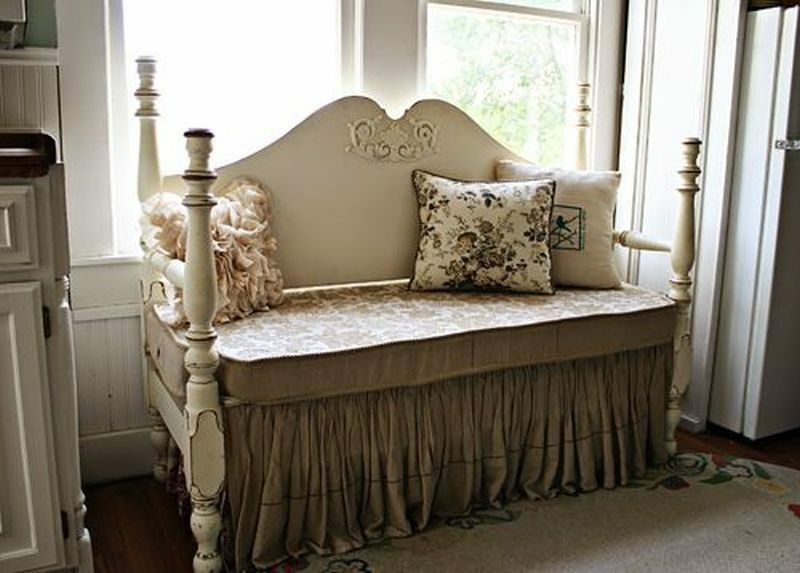 The headboard can make a perfect backrest and the old bed can be used for the bottom part of the swing. Add a small sized mattress and a few cushions and hang it with a nice steel chain and you are good to go. You can convert your bedside storage drawers and headboard into a new storage bench. You can place the drawers below the bench to use it as a storage unit. You can also place a small rack on the sides to place books or magazines. Another good idea with your old headboard is to make a shelf for your kitchen. If you want to cut the headboard into a shorter version, the two pieces combined can make a nice shelf. Add some hooks and other such accessories to hang the cloth or pots and pans. Your old headboard can also become a nice base for a large sized photo frame. All you have to do is to cover the headboard with a nice satin or velvet cloth and pin some of the best family photos you have. You can hang this frame on one side of the living room or bedroom. Looking for a new center table? Well, your old headboard will be a perfect option. You can keep the original design of the headboard or make it a little smaller. Use some old wood to make the legs of the table and you have a new center table for yourself. Another nice way to reuse your headboard would be to make a new dressing table. The curved portion of the headboard will make it look like a designer style. You can get the mirror customized to the design of the headboard; add a few drawers and you are all set with a new dressing table. Beds and bedroom sets are not just bulky pieces but they can also be very difficult to dispose. However, the wood or metal frame of your bed can come in handy while making storage shelves. In fact, even its drawers can be used again. Hence, if you have an old headboard that can be disposed, here are a few ideas you can use for converting your bedroom furniture into something useful and fresh.